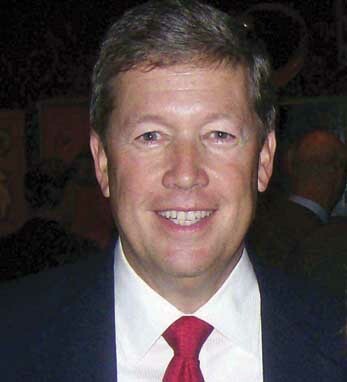 Tom Bradley joined FICO as executive vice president and CFO in April 2009. Previously, he headed North America Operations for Zurich Financial Services, a firm he joined in 2004 as CFO for North America. Before that, he was executive vice president and CFO for The St. Paul Companies. Tom joined St. Paul in 1998 when that company acquired USF&G, where he was serving as vice president of finance and corporate controller. A graduate of the University of Maryland with a bachelor’s degree in accounting, Tom also holds a master’s of business administration degree from Loyola College of Maryland and is a certified public accountant. He resides in St. Paul, MN with his wife Michelle and son Andrew. Tom is a third-generation Irish American. His great-grandfather, Thomas Bradley, came to Newtown, CT from the west coast of County Clare, fought in the Civil War, raised seven sons, and rose from a factory worker to become the town’s selectman and postmaster.